Manage all your Work With Evidence of all your Jobs - All Photos are Stored for Immediate Retrieval at any Time. When on site, its simple to add as many photos as you want. All the photos are sent back to the office when you complete the job and are filed against the job. They can also be used in the job sheet to report to your customer. You have unlimited storage in our system, thus allowing you to take as many photos as you want for quotes, before and after a job and for invoicing. 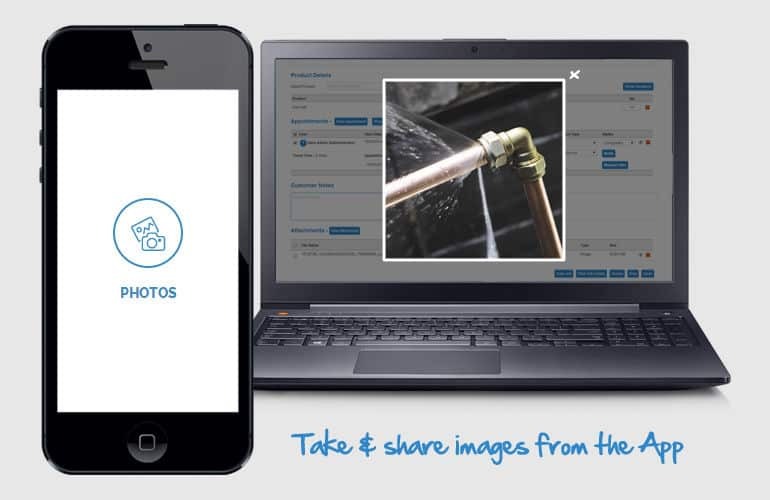 Our Work Management Software will allow you to monitor all your jobs and the images you have taken. This allows you to store all your job information in one place.